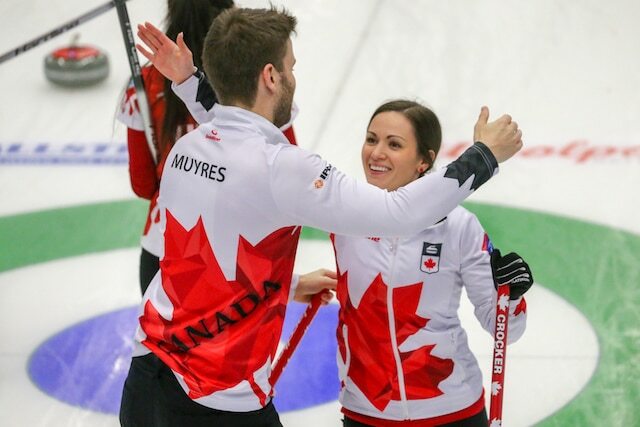 Team Canada’s Laura Crocker and Kirk Muyres are bringing home bronze medals after an 8-3 victory over South Korea on Saturday at the 2018 World Mixed Doubles Curling Championship in Östersund, Sweden. 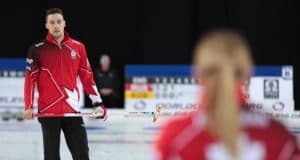 It was a solid bounce-back for the Canadians, who lost a 7-5 semifinal to Switzerland’s Michele Jaeggi and Sven Michel earlier in the day. 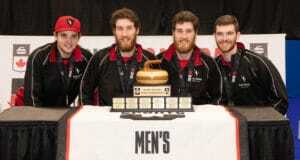 Jaeggi and Michel went on to win the gold medal with a 9-6 win over Russia. 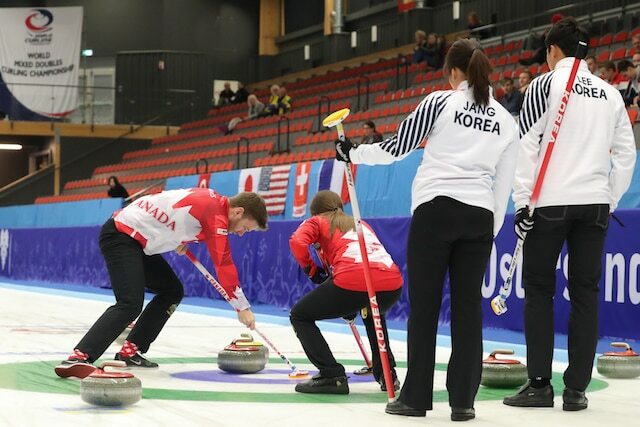 In the bronze medal game against South Korea’s Hyeji Jang and Kijeong Lee – the only team Canada lost to during the round robin – Crocker and Muyres went ahead 4-2 with a steal in the fifth. 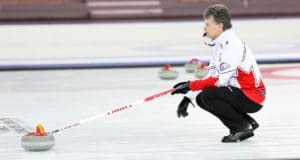 But it was the strategic use of their power play in the seventh end that put the game away when Crocker picked out the South Korean counter on the four foot to score four and seal the 8-3 win.